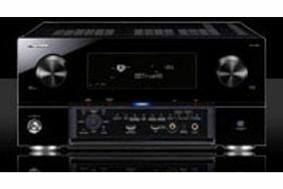 Pioneer prepares to unveil new Blu-ray player, AV amp and speakers | What Hi-Fi? We've just received an invitation to its 2009 product launch on July 14th, at which the firm's Japanese engineers will present a string of new products. New models to be demonstrated at Air Studios in London include the Pioneer SC-LX82 multichannel receiver (presumably the replacement for the SC-LX81), the BDP-LX52 Blu-ray player and the company's Series 8 speakers. We already know the BDP-LX52 will cost £550, can decode all HD audio formats internally and has BD-Live compatibility. Further details remain under wraps for now, but we'll bring you all the info we can on the day.